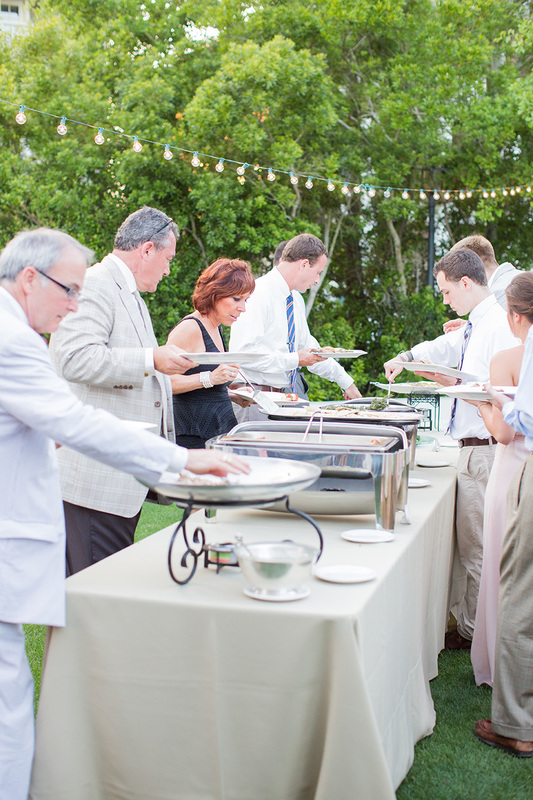 I am thrilled to share my second wedding vendor highlight, Dine by Design Catering! WOW! Kim is an expert in the industry and has so much passion for what she does. It shows in every bite. Kim helped us create the perfect menu, and feel, for our wedding day and I couldn't be more thankful for her patience and knowledge. We had a happy hour with a raw bar and antipasto bar. Both complimenting my husband and I perfectly. She made it a priority for the food to "work" with the scene and venue, but also that the menu was full of our favorites. Kim took care of the food, bar, servers, bartender, flatware and dishware, etc. Kim makes it happen! Not shown: dessert bar, full bar and wonderful and kind hands serving our dinner! It was all phenomenal!